So with a unit of light horse over the line I thought I might get a picture of the rest of the army so far, ended up with a bit of a photo shoot and a write up on my blog. See what you think. I joy for the eyes! What rules you using? Only played once so far and used Hail Ceasar which worked well. Plan is to stick with that as long as we find they work. Works well with how I am basing. Wow!..you have been busy..I always wanted to paint this army.but I can't great my group with me..sigh!. thanx for the wonderful sight. Very nice! 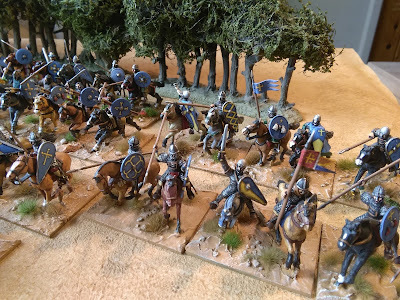 thanks for posting – would make a great SAGA army. We have used them for Saga. 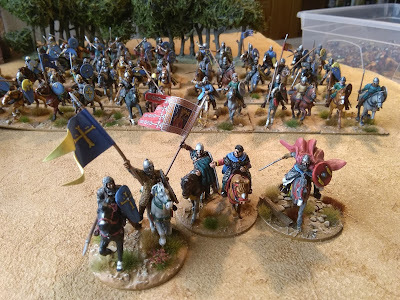 I have small Hospitaller force for SAGA myself which I rarely use. 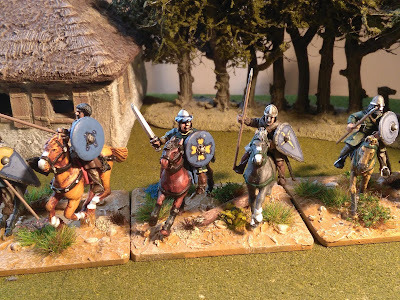 using the horse in pairs works well for SAGA foot on bases of 5 not so much.